High Oleic safflower oil is an excellent source of vitamin E making it suitable for extending the shelf life of many cosmetic products or applying the oil directly to the skin. Certified organic, safflower is gaining popularity due to it’s versatile applications. 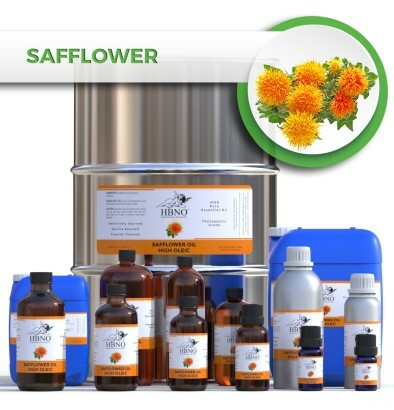 HBNO is pleased to offer safflower in bulk and wholesale quantities. We can supply any amount needed to anywhere in the world.